When bad things happen to good wine. This is based on samples provided by the winery. 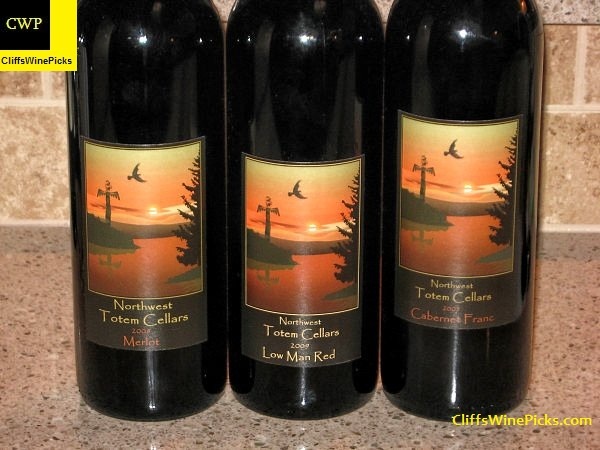 Northwest Totem Cellars – A name that pays respect to a life and people that once depended on, respected and revered their environment and the living world. We and our children are committed ambassadors to this living world. Our commitment to compassion runs broadly across many constituents; people, planet and, never to be overlooked, all other non-human living beings who share our world. Our reverence for life securely encompasses the animals of our planet. We share a view that they are their own communities, like that of our native ancestors, like us today. They are their own nations. The totem is our connection to life; old and new, human and non-human. Tucked away on a private property, we are a small, family-owned winery producing hand-crafted wines in the heart of Woodinville Wine Country. 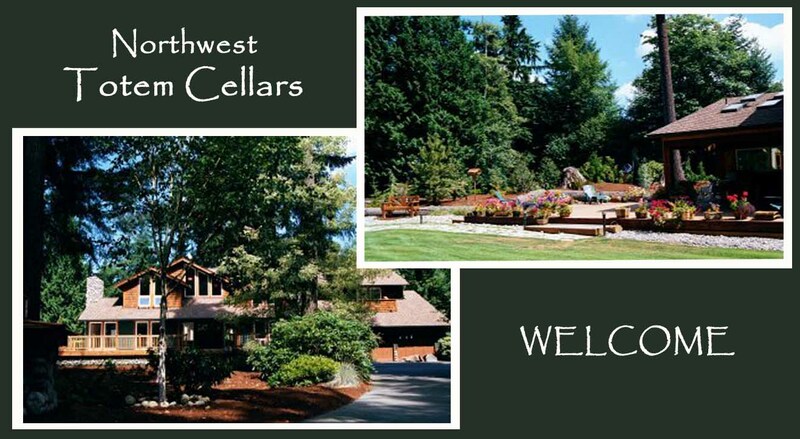 We share our love of wine and community with some of the best wineries in WashingtonState. We’re proud to be a part of a growing wine region that is the most rapidly-increasing wine tasting area in the world! 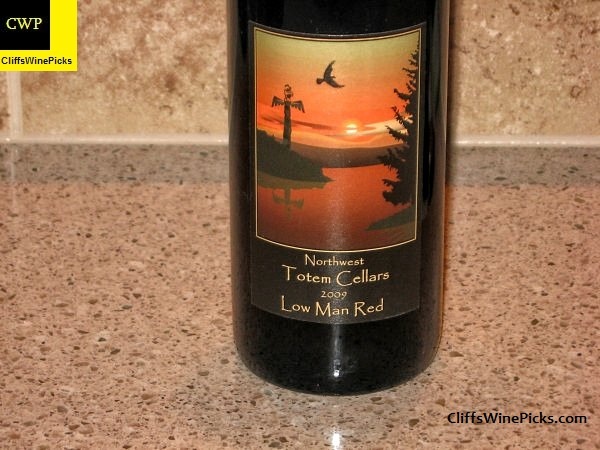 The words “personal” and “warm” will define your experience at Northwest Totem Cellars. As you walk through the front door, you realize this tasting experience will be one of your most memorable. Pouring our wines from the “kitchen” private tasting room, Mike Sharadin, our winemaker, barrel washer, one-man show et al, will enlighten you on Washington wines, our own voyage as a small producer and will share with you the passion that has fueled our love of the grape. 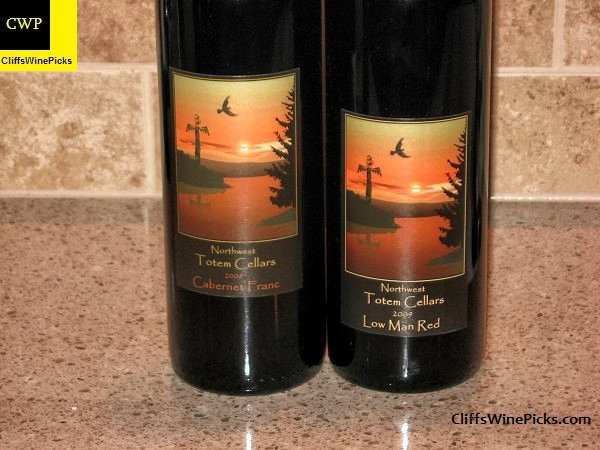 Thank you for your interest in Northwest Totem Cellars. We hope to meet you soon in the kitchen! Much more information as well as links to purchase wine is available on their website. 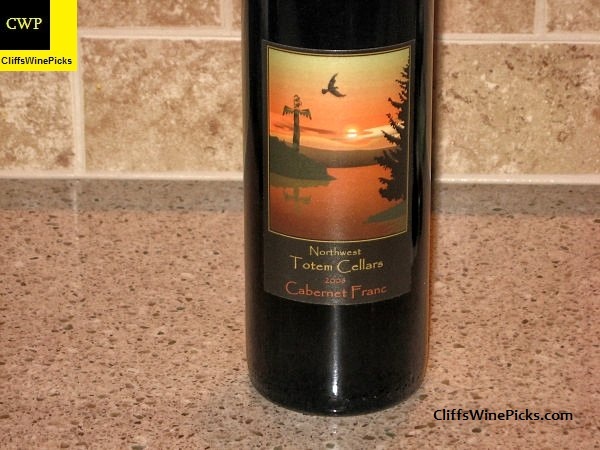 Northwest Totem Cellars is a new winery for me. I met the owner/winemaker, Mike Sharadin, on Twitter a couple years ago. Even though he is a Philadelphia Flyers and Dallas Cowboys fan, which usually makes a person the “low man on the totem pole” to someone from Pittsburgh, we “tweeted” quite a bit. 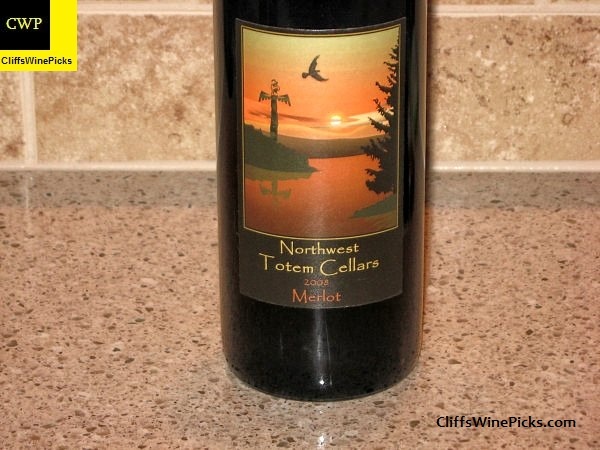 As a fan of the wines coming out of the Pacific Northwest and Washington in particular, I became more intrigued and interested in learning more about Northwest Totem Cellars. When Mike offered to send me a few samples to try, I jumped at the opportunity. Mike sent me a few samples but a severe frigid spell and a weekend stop in the Dakotas or Northern Minnesota caused the wine to freeze. When I received the bottles, a couple days later, they were still VERY cold and sweating. On one bottle, the glass stopper had pushed through the capsule and was leaking. Mike graciously offered to replace the “wine sickles” with good bottles once the weather cooperated. This lead to the decision to do an “Ice and Nice” tasting. I would open a pristine bottle from the second shipment and the frozen counterpart from the first shipment. This would allow a review of the good bottle and a comparison to the changes that occur to wine when it freezes. I like the fact the winery uses glass stoppers on their bottles. To me, this is a fantastic alternative to cork and much classier than the “twist off” options. I won’t even bring up the synthetic cork options which I despise. Frozen Bottle: The nose was very muted and shy with berries, dried herbs, and smoke. The palate lacks any richness or depth and is hollow and very soft. The finish is very short with very little fruit, mainly just toasty oak and dried herbs. The wine has no obvious flaws but the fruit is virtually non-existent. 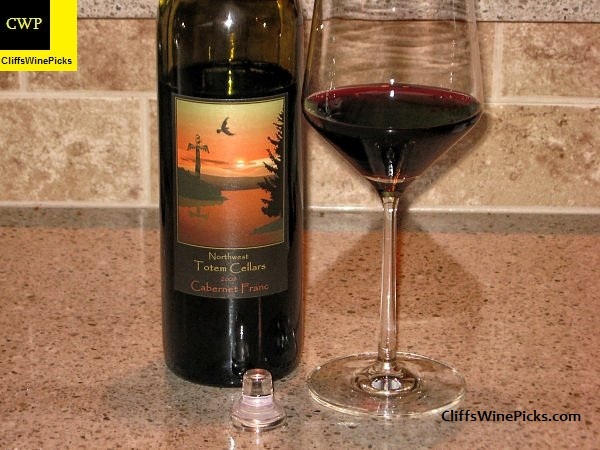 Frozen bottle: The very shy nose has black cherry, dried dill, toasty oak, and dry straw. The palate has a quick hit of cherry but it is quickly overwhelmed by dried herbs and toasty oak. This has very soft acidity and the tannins are also very soft and don’t stick around to add any body or structure. The fruit disappears quickly on the finish leaving toasty oak and dried herbs. The wine is a shade darker than ruby red. The nose has cherries, cedar, tobacco, and a touch of smoke. Again, very soft with little to no acidity or tannins to give any support. On the palate, a brief hit of sweet cherry is quickly over taken by oak. The short finish features a mouth full of spicy oak with nothing holding the wine together. The next day, the good bottles were even better, more integrated and expressive than on the first day. The previously frozen bottles were nothing more than red oak juice with a hint of fruit on the nose. It’s scary that there were no perceivable flaws with the bottles that had frozen during shipping. These bottles “looked” pristine, I only knew they had frozen because they were very cold and sweating when I picked them up. One bottle in the shipment had frozen enough that the glass stopper had pushed through the capsule and was leaking. It’s generally pretty easy to note cooked/stewed fruit on a bottle of wine that was submitted to extreme heat, but extreme cold is much harder to notice. A less than above board retailer could have put these bottles on their shelf and the winery could have potentially lost future business because of these damaged bottles of wine.